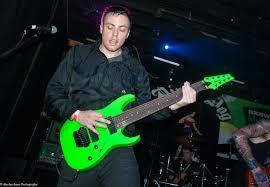 Justin Lowe – a founding member of the Twin Cities heavy metal band After the Burial – has been found dead, weeks after his former bandmates expressed concern about his mental health. The New Richmond News reports hikers discovered Lowe’s body Tuesday in Somerset, Wisconsin, beneath a bridge that spans the St. Croix River. The St. Croix County sheriff’s department’s chief deputy, Scott Knudson, told the newspaper Lowe’s cause of death was consistent with a fall and no foul play is suspected. Knudson says Lowe had been reported missing on Saturday. Lowe, 32, announced in a Facebook post last month that he was leaving After the Burial. The metal site Loudwire published Lowe’s lengthy announcement, in which the guitarist asserted there were various conspiracies against him. Condolences and tributes from other metal bands quickly appeared on social media after Lowe’s death was announced Wednesday. On the much more positive side, my last post brought back a few other memories. My old company gunnery sergeant, the one who told us not to make ourselves up to look like KISS, had a brief appearance in the 1982 film “Officer and a Gentleman.” Although google images wasn’t able to give me a picture of him from the film, his fifteen second slot was near the beginning of the film when the new recruits see a more advanced platoon run by and Lou Gossett Jr tells the recruits that they aren’t worthy to look at them. The sergeant was the one singing cadence to that platoon. He was also a technical adviser, teaching Gossett Jr how to call cadence. On a further positive note, my Bloodstock tickets arrive yesterday and I’m getting pumped. Oh, the above wasn’t the tragedy I was going to post about, that will come next.